Overall Length: 27 5/8 in. 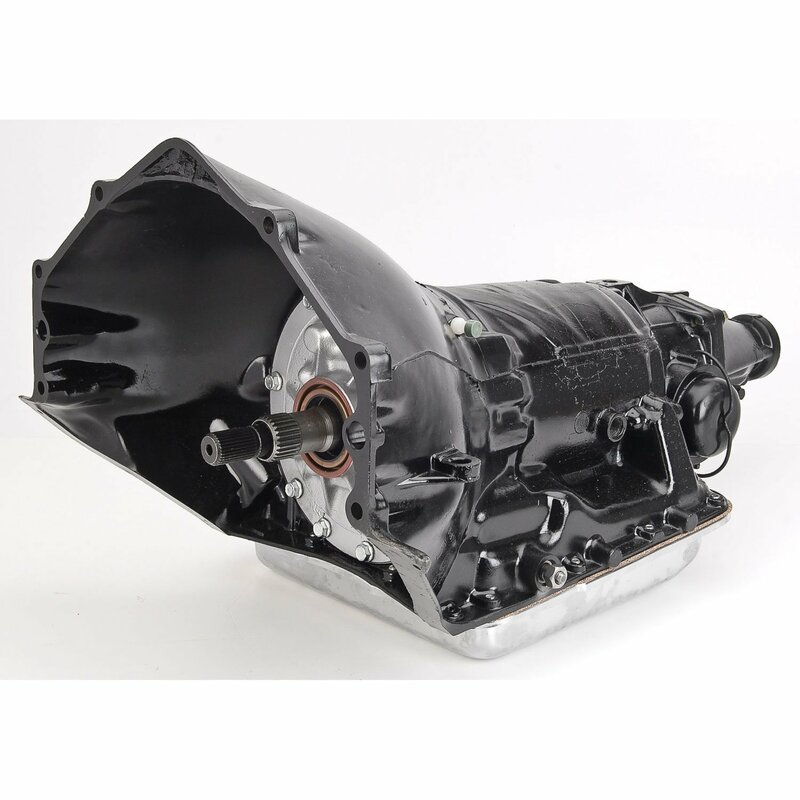 NOTE: If you have any problem installing this transmission, before returning it please call the JEGS technical support line at 1-800-345-4545. Our experts may be able to assist you with the proper installation. These transmissions are remanufactured with a performance shift kit and all new bands, clutch plates, steel plates, seals, gaskets, etc. to consistently handle up to 450 horsepower with minimal effort. A rebuilt front pump and recalibrated valve body ensure smooth-running transmissions with lasting reliability. The chrome pan with drain plug (except where noted) makes them look as good as they go! Does JEGS 60300 fit your vehicle? 60300 is rated 3.8 out of 5 by 6. Rated 5 out of 5 by rikstng from Best trans I've ever had !! I bought this transmission for my 74 nova shifts awesome! Rated 5 out of 5 by Hot Rod Dave from Shifts great / positive. Bought to install in light street rod. Very happy with how it shifts. Great improvement over previous transmission. Rated 1 out of 5 by EdCB from Poor Rebuilt Transmission There was damage inside the transmission casing; product was returned. This will fit in the wagon, you will need to check for the proper driveshaft length. I have a 1964 SS Impala with a floor shifter. &nbsp;Where can I find the proper linkage to make this work? &nbsp;As it sits right now the governor is in the way as well as the speedometer cable. &nbsp;Do I need a different shift lever as well? What linkage should be used with this transmission? You can use any of the standard linkages or the linkage that comes with aftermarket shifters depending on your application. Does this transmission require trans brake? No, this transmission is a standard pattern and does not use a trans brake. Will this fit a 1963 Chevy 2 Nova? This will fit your Nova, you will want to match the tailshaft length with the transmission being used now. This transmission is designed to be used without the kickdown cable. The valve body is programmed to work instead of the cable. Will this fit my chevy 1989 s10 which is an automatic? You will need to determine which automatic is in your S10. We will have a replacement for you. No, this will not fit your Chevy truck.